Korean pop phenoms BTS are back with Map of the Soul: Persona. 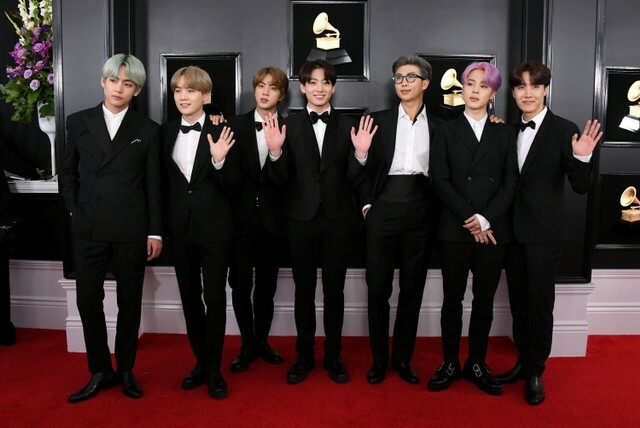 The project contains seven songs, and features Halsey on the track “Boy with Luv” (작은 것들을 위한 시), in a nod to the group’s 2014 single “Boy in Luv.” “Boy with Luv” is set to be Map of the Soul: Persona’s lead single; a music video, also featuring Halsey, is forthcoming. Last August, BTS dropped the third of three albums in their Love Yourself trilogy, titled Love Yourself: Answer. The album followed Love Yourself: Tear, released earlier in 2018, and Love Yourself: Her, an EP released back in 2017. Both Love Yourself: Answer and Love Yourself: Tear landed at No. 1 on the Billboard 200 chart. Answer also featured “Idol,” the group’s much-hyped collaboration with Nicki Minaj. The band are set to perform on this week’s episode of Saturday Night Live, where they’ll accompany host Emma Stone. BTS are also getting ready to head out on their Love Yourself: Speak Yourself world tour, with dates scheduled in the U.S., Brazil, England, France, and Japan.